Designed by Davis Love, III, the Barefoot Resort – Love Course harbors a tradition of low country characteristic in a modern design. Opened in 2000, this par 72 course has a 7,047-yard layout allowing players of different levels to enjoy their rounds starting from different tees. This golf vacation destination has a course rating of 75.1 and a slope rating of 138 with a driving range in order to provide convenience to the players. Wide fairways and generous landing areas make this course more forgiving compared to its three sisters at Barefoot namely: Norman Course, Dye Course, and Fazio Course. The Barefoot Resort – Love Course earned the number 1 spot on Top 50 Golf Courses in Myrtle Beach by Golf Digest. A native from Carolina, Davis Love infused his design with all his experiences making it one of its kind. Every hole of this resort offer a different golf trip experience towards its players. The Love Course utilizes the GN-1 hybrid turf on fairways and tees while greens displays A-1 bent Grass. Approaches consist of Tif-Sport Bermuda Grass and the Antebellum plantation lines the 3rd hole up to the 7th hole. 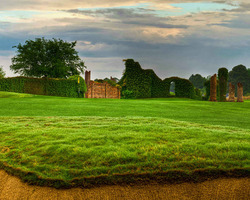 This plantation is the replicated ruins which provides a sense of lower country theme among the players. Harboring a 35,000-acre clubhouse, the Barefoot Resort – Love Course is a home of savory dishes served to perfection. The covered porch allows visitors to experience the ambiance of the resort and witness breath-taking views from hole to hole. Various golf vacation package deals are also being offered including summer and fall packages. Players can get their fourth round for free after buying their first 3 rounds. An interesting and beautiful yet treacherous course is the description which matches the Barefoot Resort – Dye Course famous for its stunning scenery. The Carolina Bay’s natural white sand is being bordered by this resort which is filled with various pitfalls for wayward shots as a trademark for Pete Dye’s designs. This golf vacation destination is the only semi-private among the other Barefoot facilities in South Carolina. Players of different skill levels can enjoy this course if proper tees are chosen. The course extends up to 7,343 yards with par 72 which is located in a gated community. Native grasses are being used for fairways, greens, and roughs. Different area attractions are also present in the Barefoot Resort – Dye Course facility. Jasmine Spa at Barefoot is known to offer relaxation services to tired golfers at reasonable prices. Experiencing this kind of luxury is never this rewarding until Barefoot sets the standards. The House of Blues also renders great live music to visitors aside from a fully stocked pro shop and sumptuous meals being served for casual and fine dining. The Alligator Adventure makes this golf vacation resort famous as the world’s largest reptile zoo with over 700 crocodiles and alligators. Aside from the SkyWheel which takes visitors up to 200 feet above the sea level, this resort also offers competitive golf vacation package deals to their visitors. The Barefoot Resort – Dye Course package of buy 3, get the fourth round free is very famous among locals. Summer packages and fall packages are also being patronized by the tourists in order to save a lot of money. Among the very few golf courses in which Hilton Head’s pride lies is the Palmetto Dunes – Fazio Course. This course has long par 4s in which sand bunkers and water hazards make it more difficult for players to deliver their best shots. 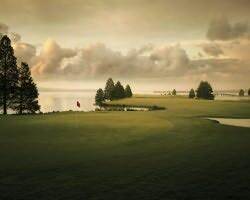 Designed by America’s most renowned architect George Fazio, this golf vacation destination has been labeled as the most challenging course in Hilton Head, South Carolina. Aside from that, this golf club is ranked as one of the top 100 golf courses in the nation making it popular to local residents as well as the tourists. 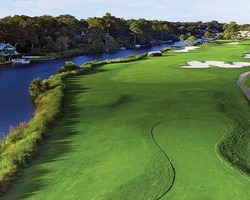 The Palmetto Dunes – Fazio is known to demand a perfect combination of long play and precision shots in a par-70 layout. This course plays 6,239 yards from the middle white tees and players enjoy the surprising elevation changes which add spices to their rounds. In order to make every golf trip count, the management decided to upgrade their grass from Bermuda TifDwarf to a more shade-tolerant grass which is the Diamond Zoysia grass. This grass promotes consistent and superior playing conditions year-round making it possible for golfers to enjoy the same playing condition even for different seasons. Tennis courts are available in this resort in order to provide an alternative mode of recreation for their visitors. Relaxation services are also being offered on their spas aside from their competitive golf vacation package deals. With various sumptuous meals being served at the Palmetto Dunes – Fazio Course’ restaurants, no wonder guests come back over and over again to experience such luxury without spending a fortune. 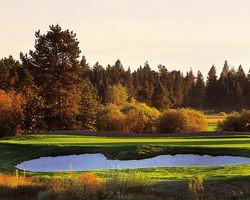 With its aesthetic grace, the Sunriver Resort – Meadows Course pays tribute to 1920’s and 30’s American golf courses. This resort harbors the 18-hole championship course layout in which 7 of the holes border the meandering Sunriver. Acclaimed architect John Fought designed this golf vacation destination with a dramatic directional and fore bunkers in order to provide a challenging round to the players. Golfers of different skill levels will surely enjoy their game as they gaze towards the amazing scenery when they walk from hole to hole. The Meadows course has been hosting several NCAA and USGA championship tournaments for men. The Sunriver Resort – Meadows Course offers various amenities including signature massage, facials, body treatments, and other spa services. The fitness center and the tennis courts allow players to warm up and regularly tone their muscles before their rounds. This golf vacation resort offers casual and fine dining experience to their valued guests like never before. Aside from the recreation center, this resort also offers biking, skiing, and other snow activities during winter. Annual resort events are being held as thanksgiving for their continued business success and overwhelming client satisfaction. For players who wanted to spend their night in the luxurious hotels, friendly staffs offer a warm accommodation for tired golfers. With various golf vacation package deals, visitors will sure enjoy their golf trips without having to spend a fortune. Packages include unlimited resort golf experience and unlimited cross-water golf experience both with several privileges to offer. The Sunriver Resort – Meadows Course renders different rates depending on the season. Clients can check and visit their website for season rates and schedules. Feeling the history with each step, the Pines Needles Golf Course is designed by Donald Ross in 1950’s in order to serve the residents of Sandhills, North Carolina and allow them to experience an excellent golf trip like never before. Awarded by Golf Magazine as one of the two Silver Medal Resorts, this destination offers warmth, character, and comfort. Towering long-leaf pines and chalet style lodges which are recently renovated offer great accommodations for tourists and residents to wanted to experience a touch of history and culture while enjoying breath-taking views. 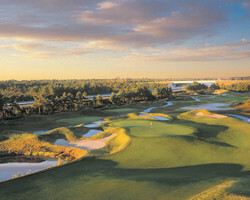 Balconies and terraces allow visitors to gaze on the 18-hole championship course. 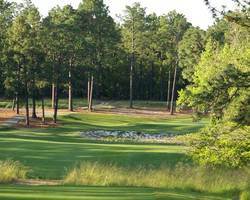 The Pines Needles Golf Course is ranked number 4 all over North Carolina. In 2004, this resort underwent a full restoration in honor of Donald Ross’ name and legacy. John Fought headed the restoration with accuracy and respect to the original form of this golf vacation destination which later on turns out to be a success. Sand bunkers were rebuilt and refilled, fresh sand is installed, as well as the dramatic contours and dimensions of greens. John based the restoration by carefully putting up together some vintage aerial photos of the course. Measuring more than 7,000 yards, the Pines Needles Golf Course has been serving their clients fully after the success of the restoration. Reasonable hotel accommodation rates and membership fees are being imposed in order to maintain the resort. Various golf vacation package deals are also being rendered to golfers who wanted to save a lot of money while still enjoying their vacations.